Black Friday is officially in full swing, which means it’s the best time of the year to buy new Philips Hue smart lighting products. 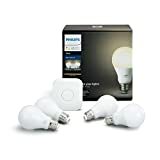 All of the brands most popular smart bulbs are on sale right now, including the Philips Hue LightStrip Plus, Philips Hue A19 color bulbs, 4-packs of Philips Hue White bulbs, and plenty more. Those are all terrific deals and if you already have a Philips Hue setup, you should absolutely take advantage. 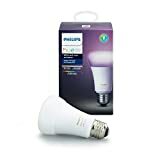 If you don’t already have a Philips Hue setup though, there’s another brand you might want to explore. 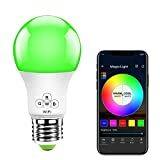 Philips Hue color A19 bulbs are great, but MagicLight WiFi Smart Light Bulb is just as good and it costs just $17. 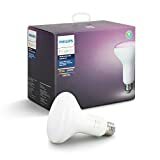 You get the same support for 16 million colors, Alexa, Google Assistant, and smart home hub support for less than half of what you’ll pay for a comparable Philips Hue bulb… at its best Black Friday price! 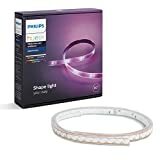 And how about that popular Philips Hue LightStrip+ for $60? It’s also a solid deal, but once again the MagicLight LED Strip Light still costs less than half as much right now. Definitely check them out. 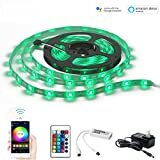 ✔ Various Modes: Color Palette, Group Control, Music Mode, Timer, DimmablAe, MIC Function, DIY Mode, Scene Mode …It is great for holidays and events like Christmas, Halloween, Parties etc.